On September 6, the Mate and I celebrate 30 years of marriage. I don’t know what we’ll have for dinner. All I know is, it won’t be fried chicken. Not because we don’t love it…but because we do. Specifically, we love Mama Dip’s fried chicken from Chapel Hill, North Carolina (where we met in 1977 and were married ten years later). 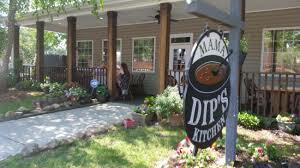 We loved Mama Dip’s chicken so much we got her restaurant to cater our wedding. So now we’re spoiled; no one else’s fried chicken comes close. Of course with fantastic fried chicken come all the fixins: fried okra, stewed greens and tomatoes, black-eyed peas, cornbread, biscuits, corn on the cob…Some folks would add mac ‘n’ cheese to this list, or Brunswick Stew, or pulled pork, but to me those are meals in themselves, demanding their own sides: cheese grits, home fries, slaw…OK, I’ll stop. The Mate and I are very health-conscious people. We’re lifelong athletes–in fact, distance running is how we met. But we LOVE our soul food. In fact, I love even the IDEA of soul food. 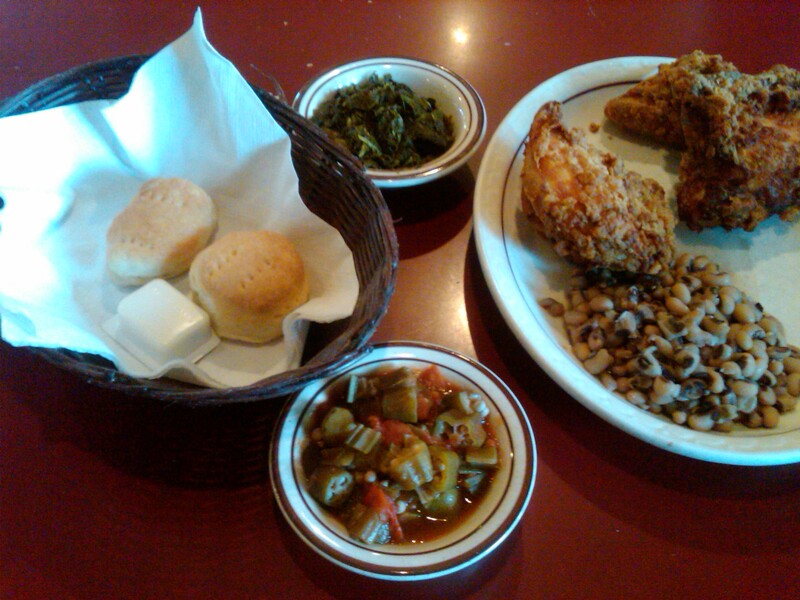 Soul food is a variety of cuisine originating in the Southeastern United States. It is common in areas with a history of slave-based plantations and has maintained popularity among the Black American and American Deep-South “cotton state” communities for centuries; it is now the most common regional cuisine in southern cities such as New Orleans, Louisiana, Charlotte, North Carolina, and Atlanta, Georgia. Soul food influences can be commonly found as far north as Richmond, Virginia, as far east as Jacksonville, Florida, and as far west as Houston, Texas. The expression “soul food” may have originated in the mid-1960s, when soul was a common word used to describe Black American culture (for example, soul music). I TOTALLY dig the idea of food feeding one’s soul. Soul food is culture, family, love. Yearning. Nostalgia. Gratitude. Nourishment of your deepest parts. The Mate and I might not be southern by heritage; we might have abandoned the south to live all the way across the country. 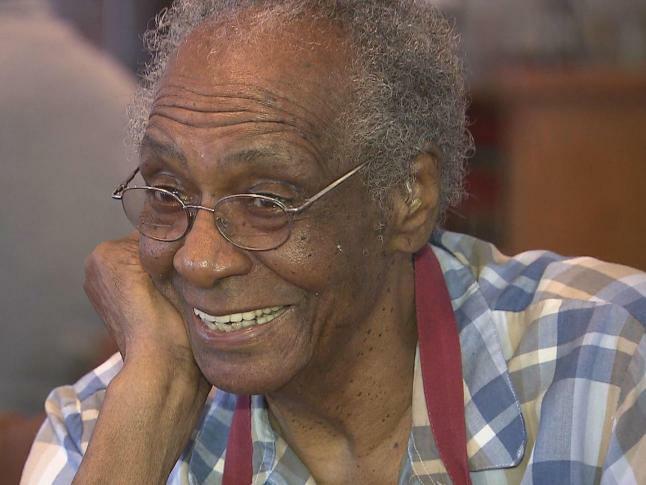 But Mama Dip’s chicken and okra and cornbread fed us and our 250 guests on a day of torrential September rain back in 1987, and that food and those memories continue to nourish us daily in this hard-work miracle known as marriage. Since we can’t be in North Carolina on September 6, I’ve asked my parents, who still live there, to go out to Dip’s for us. Their own marriage is in its 63rd year. Guess they must have found some soul food of their own. This entry was posted in Wing's Words and tagged Chapel Hill, cooking, food is love, fried chicken, Mama Dip's Kitchen, North Carolina, soul food, wedding anniversary by gretchenwing. Bookmark the permalink. What a lovely story! Now I think I have to go there and celebrate you – and I’m not even wild about fried chicken, I just love the local aesthetic which includes food. And you know that’s also how I feel about Lopez, I’ve never eaten from the land better than here! I second the motion about local food. If Mama Dip came to Lopez and fried up some of OUR chickens, I think my head might explode. Yum!! Let me know if and when Mama Dip ( or a surrogate) arrives…makes my mouth water just to look at it…Couldn’t be added to the bakery menu?